Low, somewhat hairy plant, with long rooting runners. 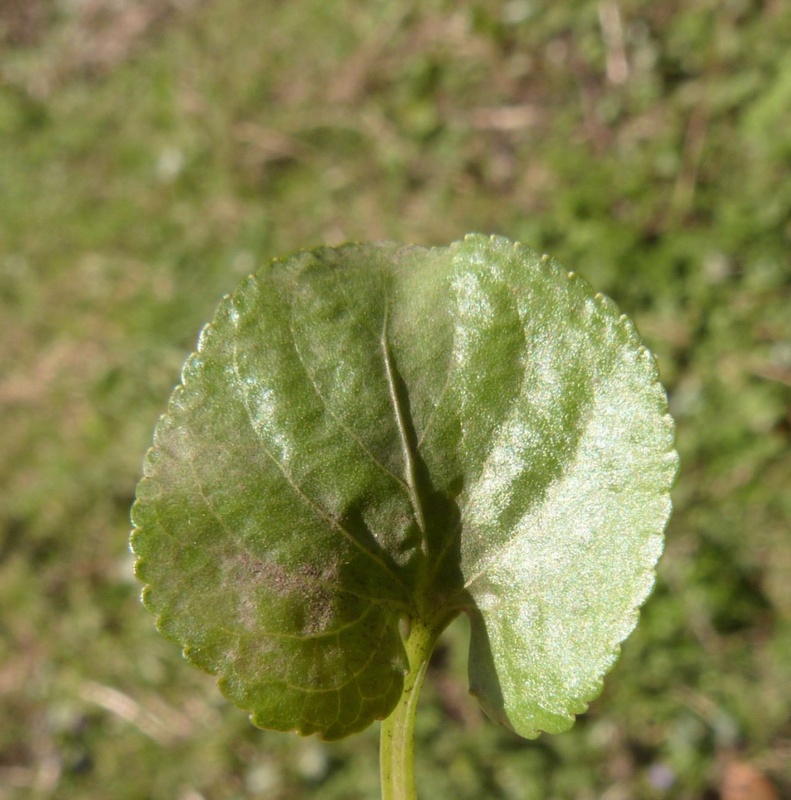 Leaves oval, with a deeply heart shaped base in basal rosettes. 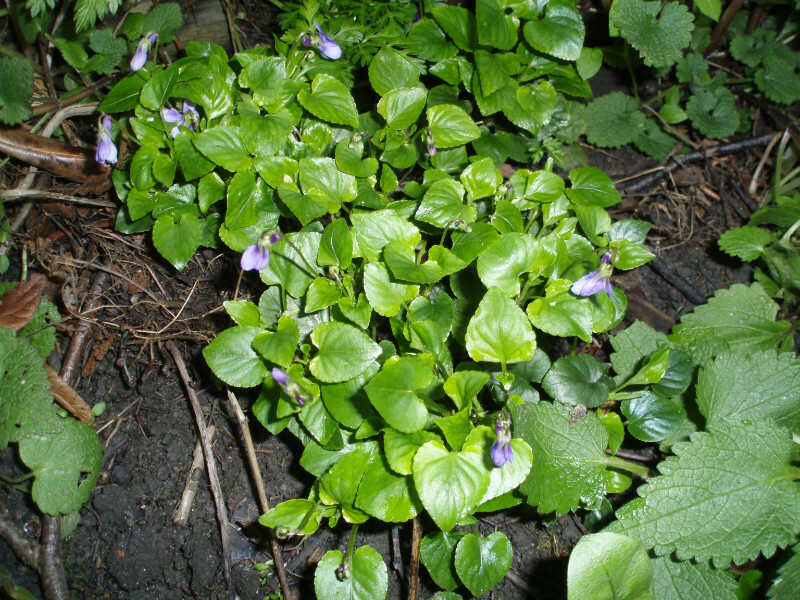 Stipules blunt, usually fringed. 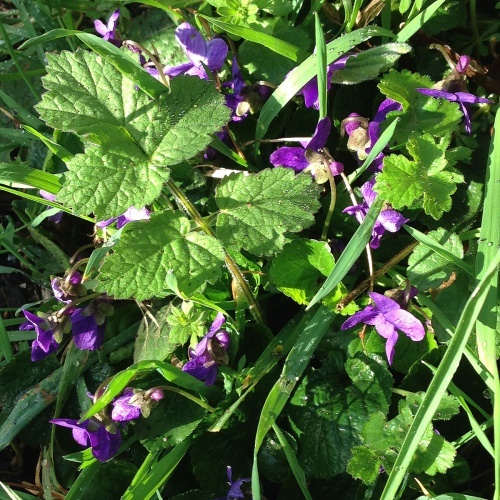 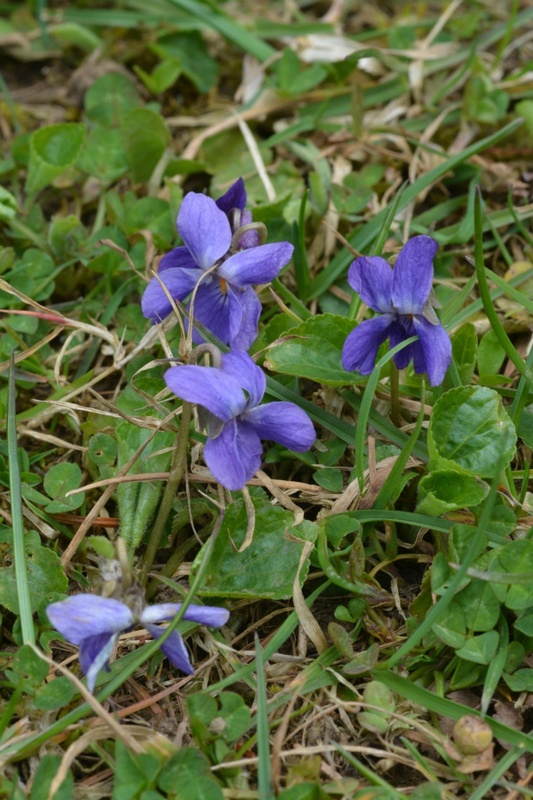 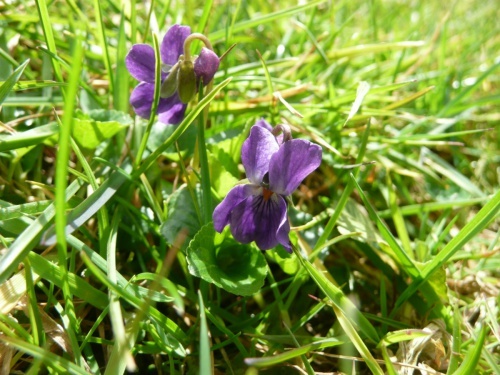 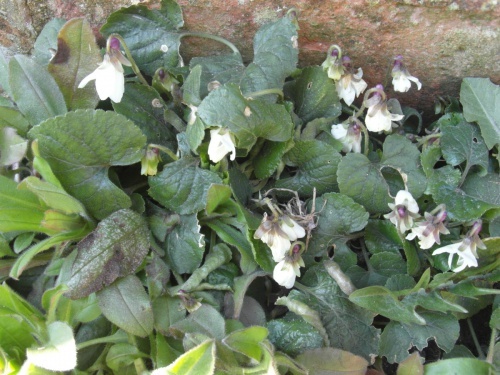 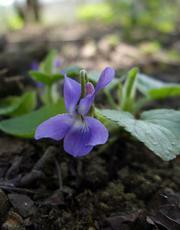 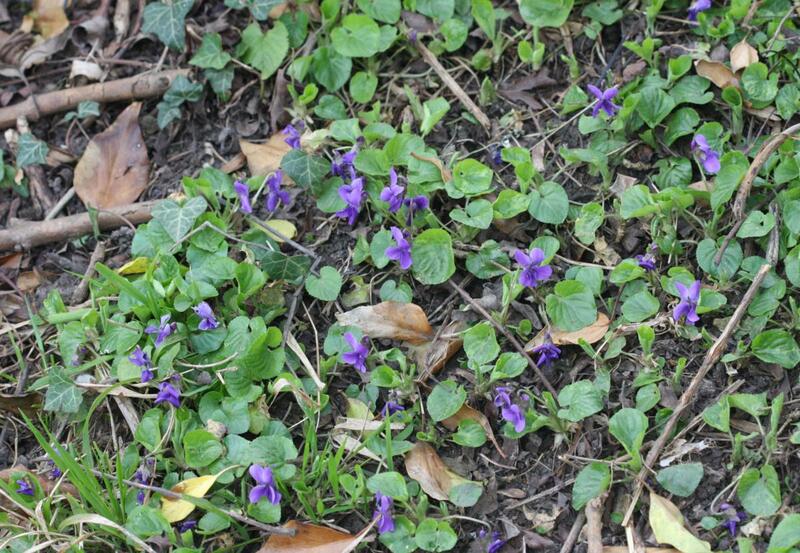 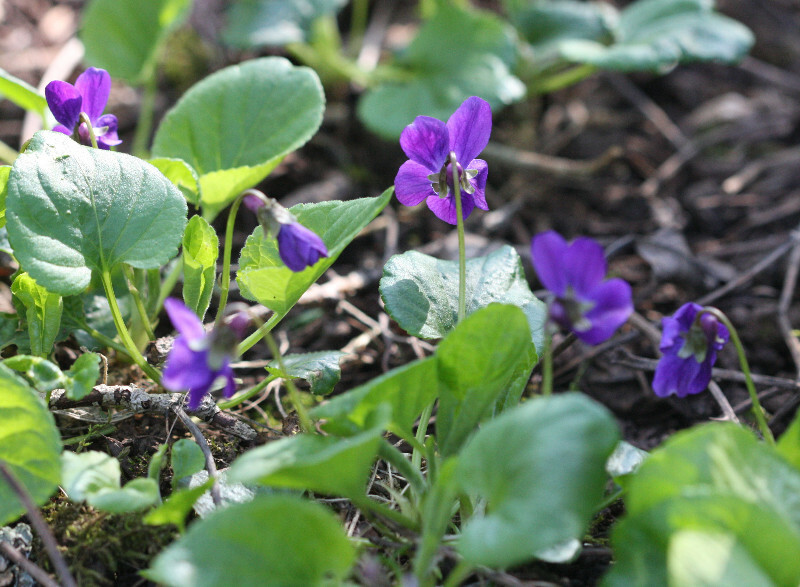 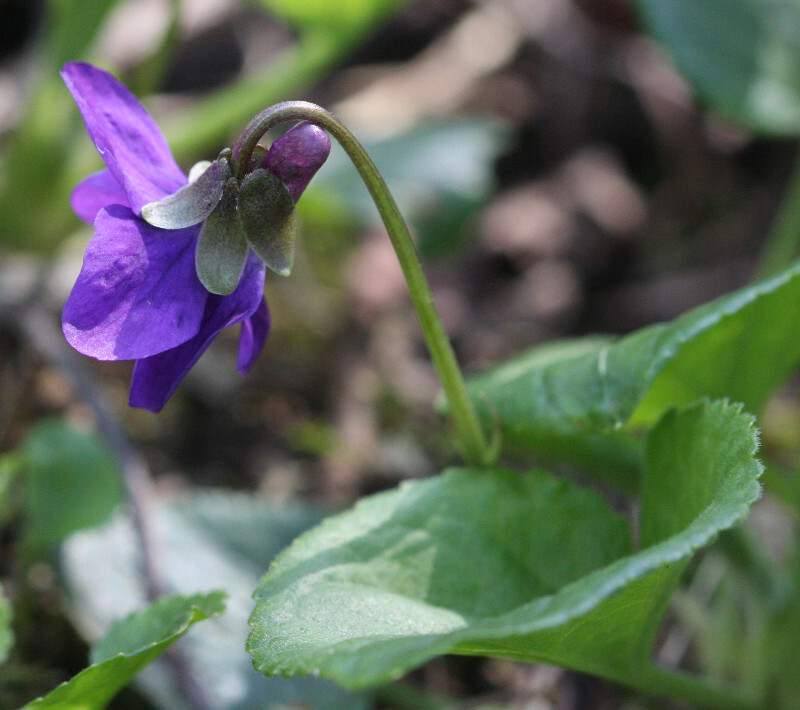 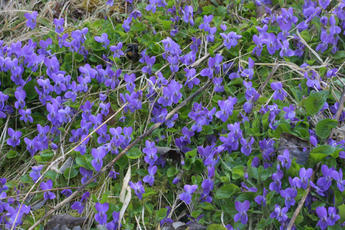 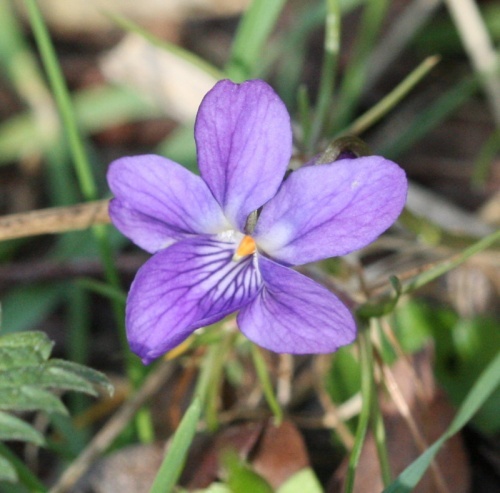 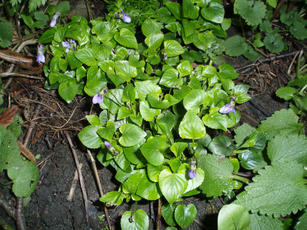 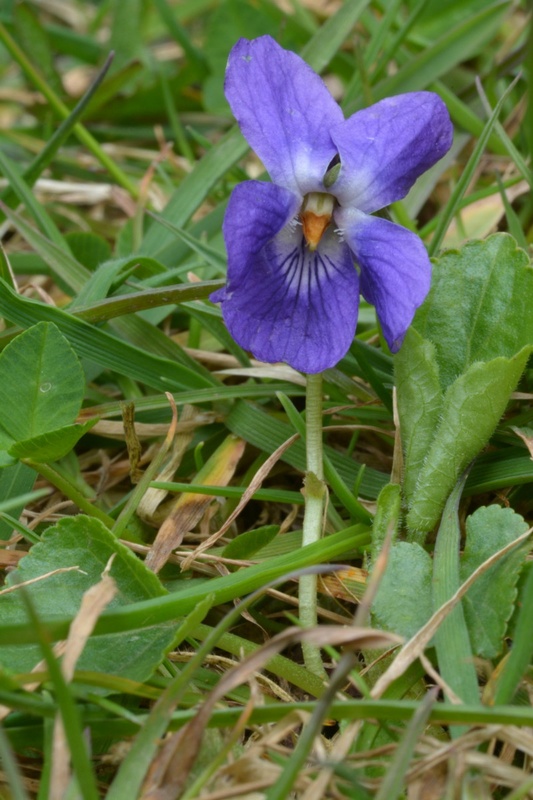 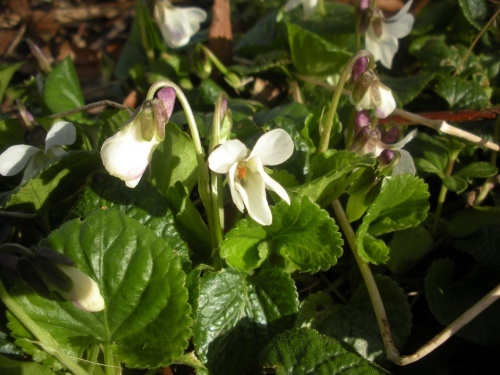 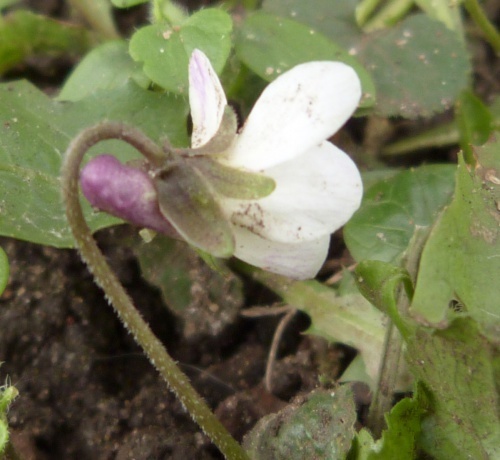 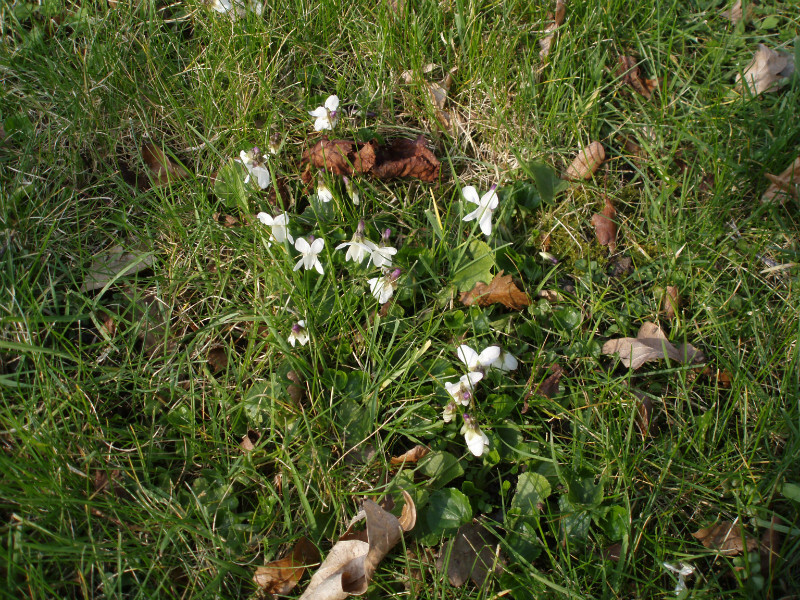 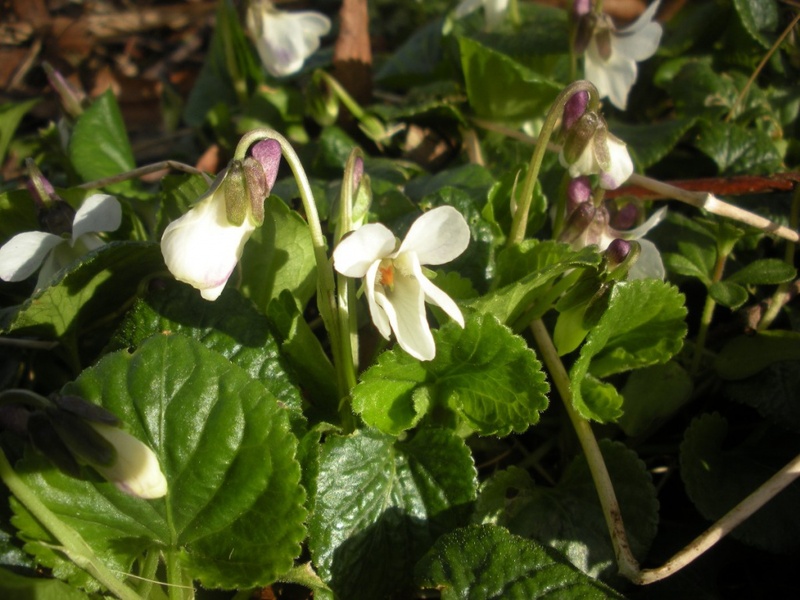 Flowers, often dark violet with a short (6 mm) violet spur, but can be white with a violet spur, rarely pinkish. Fragrant. Flower stalks with bracts in the middle. 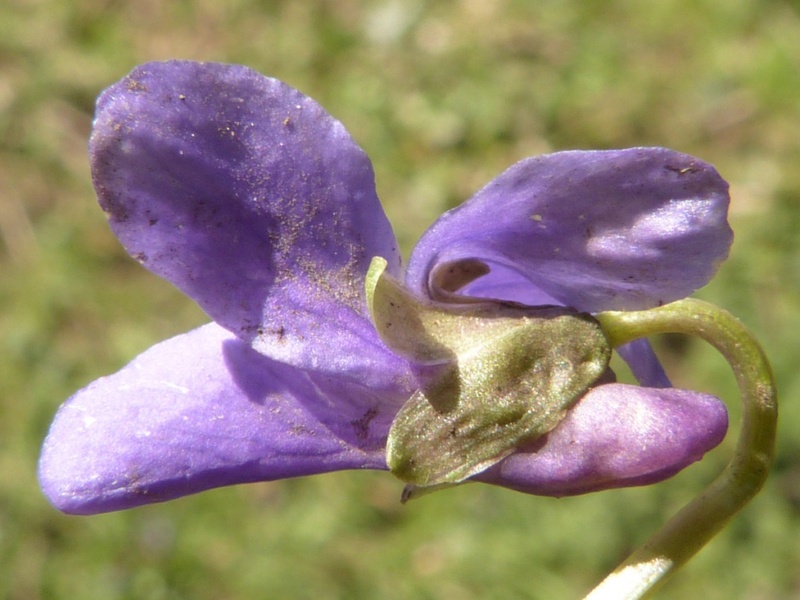 This is not easy to identify from a photo of the flowers 'full-face'. 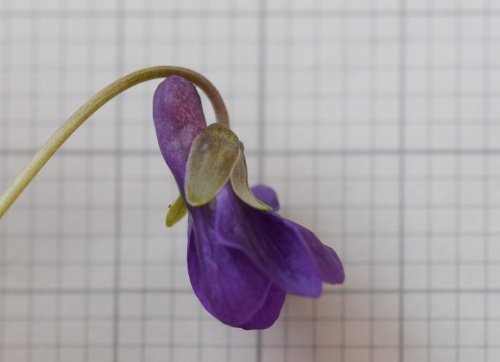 A side-on photos of the flower showing sepals, plus appressed/reflexed hairs on leaves and capsules, or notes should give confirmation of this; photos showing runners. Often in shaded places, woods, coppices, hedgerows. It is grown in gardens and often planted in churchyards; frequently escapes. February to May, but occasionally August and September. 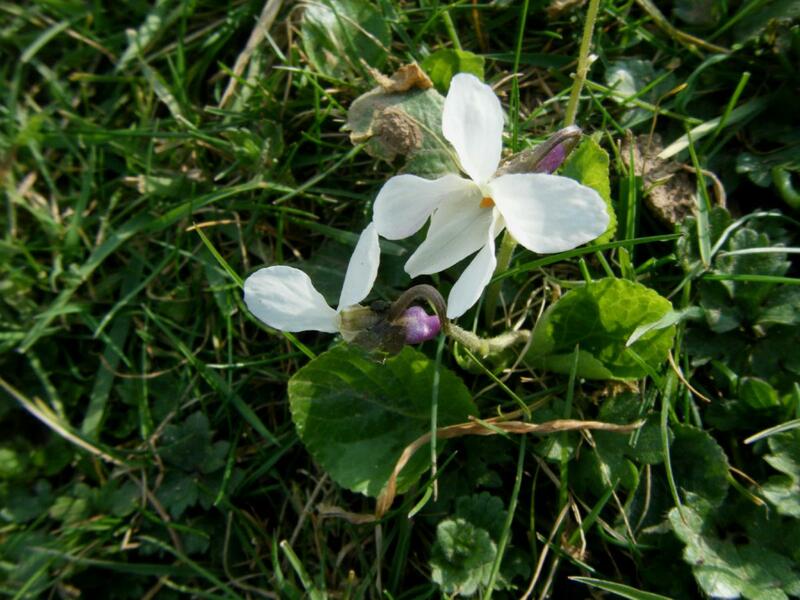 Fairly common throughout Britain except in the far north. Fairly common in Leicestershire and Rutland. In the 1979 Flora survey of Leicestershire it was found in 296 of the 617 tetrads.